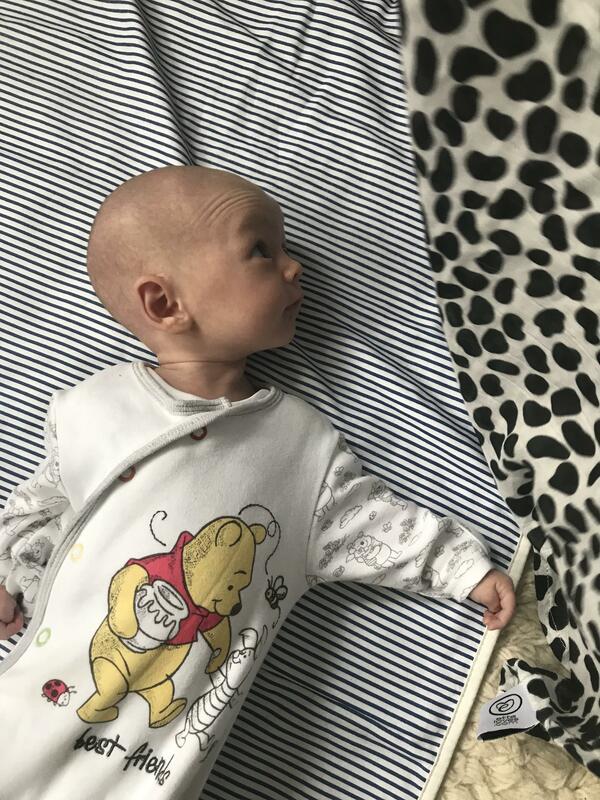 Okay okay, so maybe this is an exaggeration – we could’ve lived without these things but they definitely made our life easier over that fourth trimester where frankly, we had no idea what we were doing. But, looking back, I’d like to give myself a little high five and say – “You did good!”. We tried not to listen to everyone’s advice (and trust me, everyone offered it), read too many things and resisted buying too much unnecessary ‘stuff’. 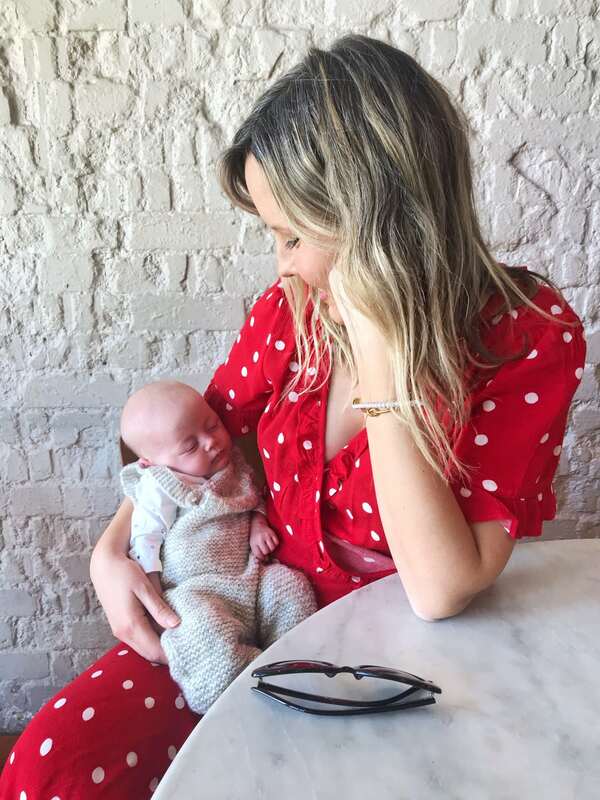 One thing we found was that the baby marketing world will tell you you need 7 types of baby seats, jungle gyms from birth, rocking chairs that help with colic which your baby definitely will have from the day they’re born….and it’s up to you to wade through it all and decide what’s essential. And you don’t need to have everything brand new, most of ours were hand-me-downs and secondhand items (but I’ve linked to the originals for research purposes). Sleepyhead: £130, John Lewis. 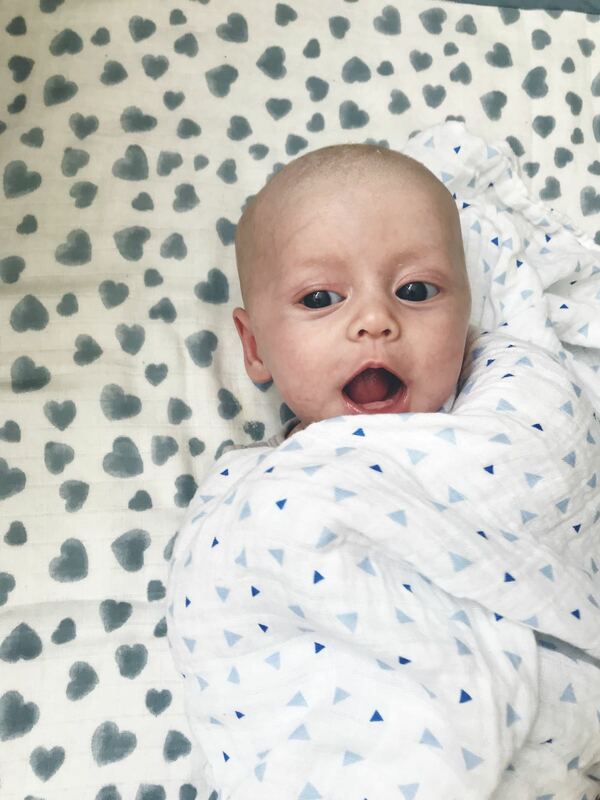 Swaddle blanket: £15, Storksak. Look, I’m not saying buy one of these and your baby will sleep, it’s just more of a possibility that they will in this rather than a giant expansive cot where they feel small and cold rather than close and snuggly. To be honest we had a Moses basket too, but we only really used it to put the Sleepyhead in and after a while just stuck to the Sleepyhead (ours is secondhand). It now goes in her crib and she is beginning to do long naps and sleep through the night (with one waking). It’s portable too, I took it to my parents’ house the first time they looked after her so she had some consistency, and we even took to Spain to use in the travel cot. People might tell you horror stories about SIDS but none of this is conclusive re: Sleepyheads (and I’m pretty sure SIDS effects cots, too, so you’ll worry about everything if you read too much). And obviously your baby will always prefer to sleep on you, and that’s nice, too. We didn’t have a nursery ready when she was born, so we just kept a portable change mat handy and did it wherever: the sofa, the floor, the bed, our laps. It was fine. Ours was the Baba Bing flip out mat with space for wipes and nappies and is slightly padded – perfect for those holiday beach changes too. Ewan the dream sheep: £29.99, Amazon. Sleepsuit: Marks & Spencer. My mum brought this to the hospital the day Peggy was born (complete with spare batteries!) and we used him from Day 1. He plays all sorts of white noise and lovely harp lullabies (our favourite) which we used to calm her during nappy change and before we put her to bed, now she associates it with calm time and sometimes it’s just drown out noise as you creep about hoping a floorboard doesn’t creak! Bath cape (which we used as a blanket): £35, Willa & the Bear. You may have noticed from the pics already, but we used a hell of a lot of muslins over the last few months – perfect for swaddling, to be used as cot sheets, sleepyhead covers, blankets in the heat, mopping up milk spillage, dribbling…their uses are endless plus they wash well and babies seem to love them – I often just place one in Peggy’s hands in the car now or dangle over her head as a makeshift mobile. Try Etsy for cute ones (I love The Fox in The Attic), Storksak for blanket ones and Etta Loves for sensory ones to play with. Peggy mesmorised by an Etta Loves muslin. Sleepsuit: Primark. My phone was due an upgrade before Peggy was born, and I made sure I upgraded to a phone with the most memory I could afford – and boy was it worth it. I must have taken a thousand photos in that first month alone. Make sure you take them off and store them though (I still use Snapfish and print photos – shock horror) or you might have to delete them later to make room for a thousand more pics. Someone also told us about the app 1 Second Everyday, and we’ve been using it and loving it and will keep going until her 1st birthday. You upload a video everyday and it merges 1 second together to make a video you’ll want to watch and watch and watch. When I look back now, I can’t believe she was so tiny/used to cry in the bath/fitted that sleepsuit etc. I thought I’d write a journal/edit a video diary etc but the truth is you’ll get round to doing absolutely none of that so this is an ‘achievable’ thing. Pram: Yoyo Babyzen. Dress: H&M (old). Apparently you’re not allowed to leave the hospital without a pram and car seat (I’m not sure how true this is) but this is the one thing we were glad we had sorted. Luckily for us, Chris’s brother has a baby a year older than Peggy so passed on a lot of useful stuff like the newborn bassinet and the car seat, so we only had to buy the wheels, really (which my mum kindly offered to buy). This eliminated a lot of the research we had to do on prams, but we were kind of set on this pram anyway. It’s the smallest one on the market and super easy to pack away into a car (even I can do it!) and it is so compact you can carry it on a strap and put in the overhead compartments as hand luggage on a flight. 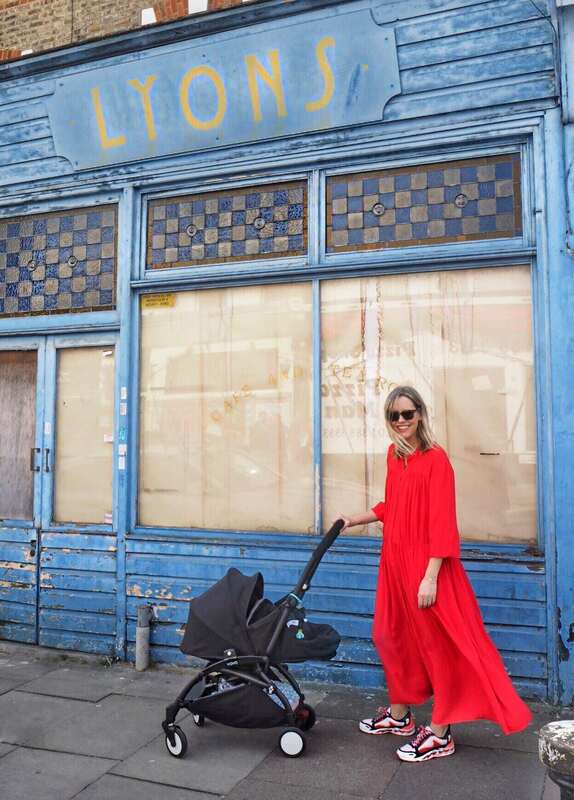 We haven’t tried any other prams but we love this and have NEVER had to ask anyone in a restaurant to move their chair in (which was my aim, to be honest). I have been asked by A LOT of people what the best presents we received were after having our daughter. One of them was a huge box of water wipes, and the other was FOOD. So many of my lovely friends brought home cooked lasagnes, chilli con carne or even just sent vouchers for Cook, where we could order frozen meals delivered to our door. I really underestimated how hard it was to cook in those first few months (or even get out to buy food to cook) and these gestures made it so much easier (brownie points if, like some of my friends, they donated the dish too). Oh, and one person sent Gower Cottage Brownies by post and now it’s all we will ever send to friends with babies – so delicious! And useful to have out if visitors come round. 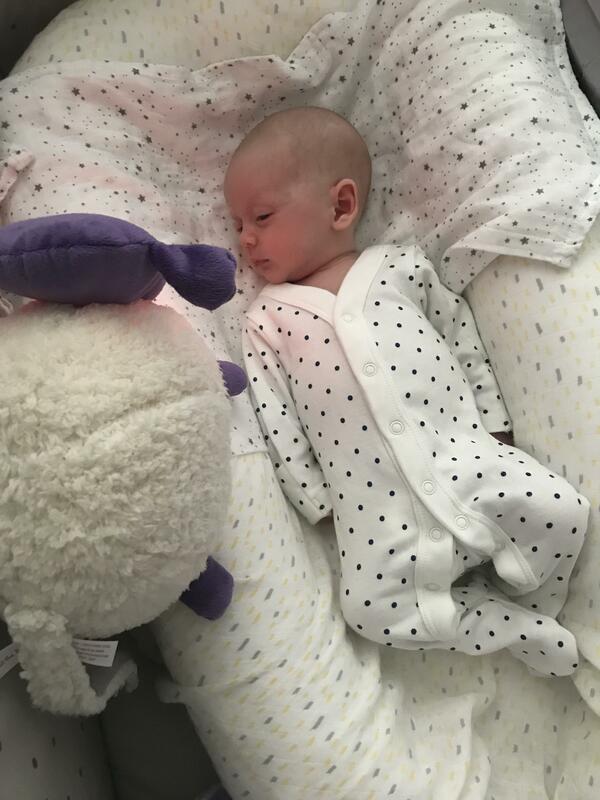 You soon learn that babies don’t just go to sleep once you kiss them and lay them in a sleepyhead/crib/moses basket/anywhere and at some point you’ll realise you’ll want to get stuff done. Even just some plain old pottering or hanging some clothes up and this is where a sling or a carrier comes in. Annoyingly, we have both. 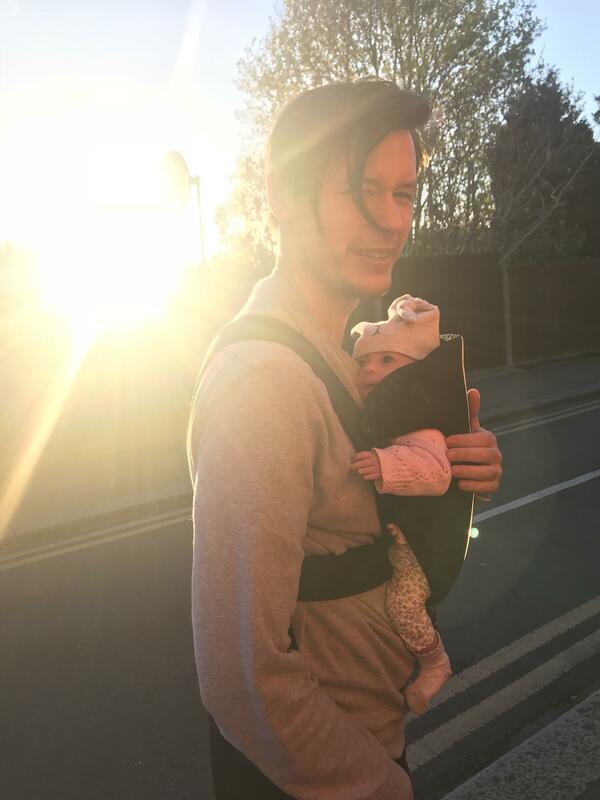 Mainly because I bought a sling from Amazon (Baby K’Tan) as I loved the idea of them being snuggly and warm and close and womb-like. I loved it BUT you buy it according to your size, not your baby’s, which meant that Chris couldn’t use it as well – so we found a Baby Bjorn in the Mothercare sale and we love that we can both wear it – and it has really come into its own on holiday. We go out for dinner, stand and eat tapas at the bar and she has (mainly) slept! See? I make all the mistakes so you don’t have to. So that is it, really! Note there is nothing in this list that sways/rocks/sings/lights up all at once. You’ve got plenty of time for that stuff to invade your home. Also two books we loved were ‘Baby Week By Week’ – it’s good to use as a ‘rough’ guide on what to expect. And then ‘Sleep Sense’ which comes into its own more around 3 months – a friend sent this to me as it gives you a gentle guide to help your baby develop sensible sleeping patterns but at the same time, more importantly, gives you realistic expectations on what to expect and why. I got to page 3 of Gina Forde and decided it wasn’t for us, and liked the routine of The Baby Whisperer but found it very matter of fact and didn’t allow for much deviation (search for the E.A.S.Y method – and I also used Anneli Bush’s routine as a guideline). We found that these two books just seemed a bit more flexible for us. 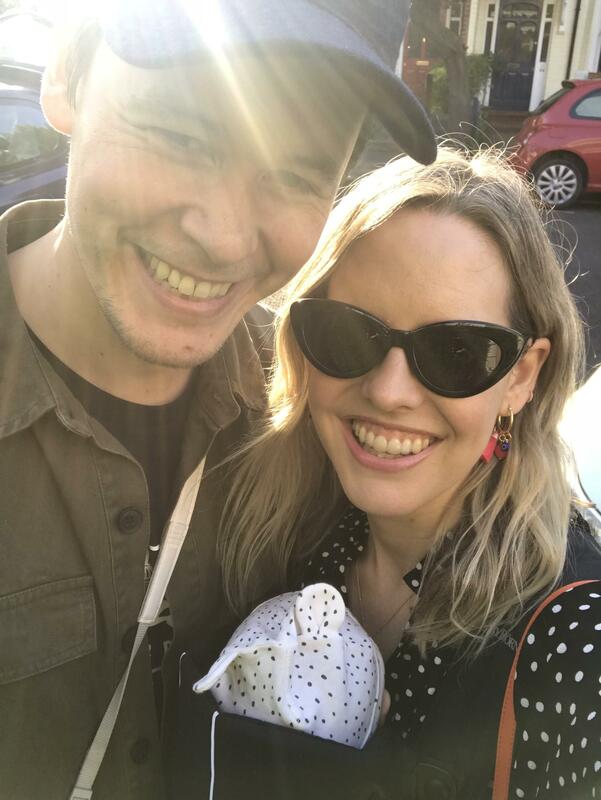 We’ve just muddled our way through really and it’s all a learning curve but at 4 months now, we have a lovely happy baby so we must be doing something right. I thank goodness that i didn’t have the choices that young parents have today. There would be no time to have an actual baby. The only thing i would say is ‘protect your back’. Get the change table sorted (floor and bed is for emergencies only) and the feeding position, it may not be pretty but there are ways to feed that won’t cause back problems down the line. Love seeing your little one and the only thing i really wish i had had are the photo apps. Alex thanks for the recommendation on the 1 second video, only wish I knew about it sooner! 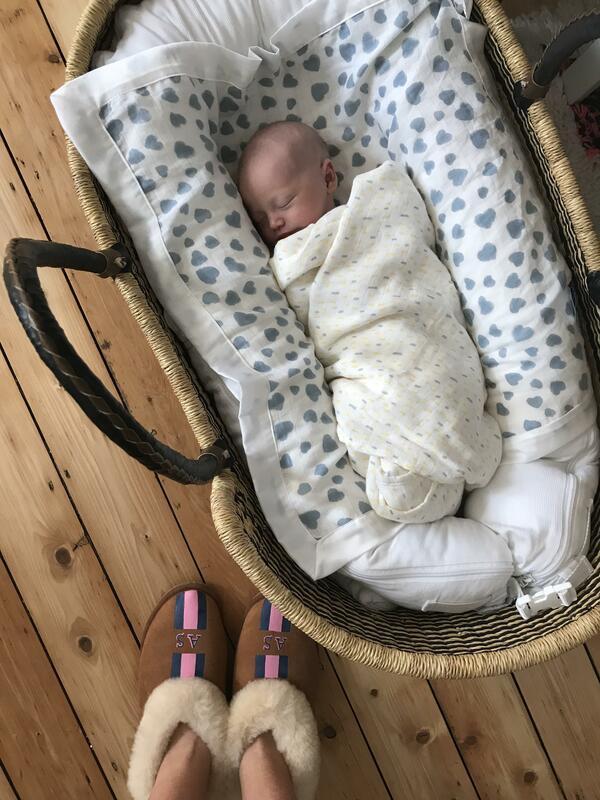 As I’m 5 months gone with our first child and in the middle of doing a huge house renovation- deciding which baby “essentials” are actually useful and which will just be yet another thing to be moved from room to room whilst we do the work was becoming a wee bit stressful. Brilliant! Helped me make my list for the baby. Thank you!